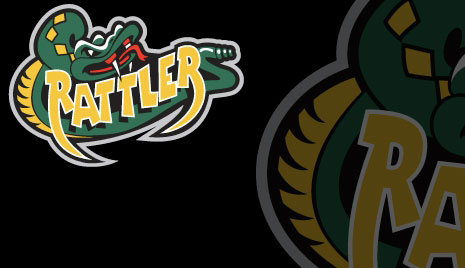 The Bradford Rattlers split a pair of games this past weekend to make their record now 24-4-3.; good for 4th place in the GMHL. A Friday night game in Deseronto saw the Rattlers fall 5-4 OT against the storm. Bouncing back at home on Sunday, Bradford downed the Shelburne Red Wings in a convincing 6-0 victory. Carson Bird started in goal against Deseronto, making 30 saves on way to a overtime loss. This is only the 7th loss of the season for the Rattlers and their first loss to Deseronto since the 2009 playoffs. Andreas Norrby managed to have a 3 point night, but it wasn't enough as the Storm's John Sweet put up a 3 goal performance. A shutout victory two nights later put Bradford back on course, as they defeated the Shelburne Red Wings 6-0. Rob Sutherland is now tied for the league lead with two shutouts on the season. White and Smith registered three points each in the victory. Jacob Buwalda also grabbed two assists in the match; his first points as a Rattler. Stay tuned this week as Bradford will be playing games against Temiscaming, South Muskoka, and Mattawa, as well as releasing the second set of wallpapers and even announcing a signing from the trade deadline!